Join Antiquity's Fan Club at Facebook! Coming Soon! Antiquity Calais Ascending Olympus! 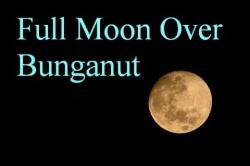 Full Moon Over Bunganut Publishing is both environmentally sensitive and practical. Toward those ends, we request all submissions be sent to us electronically. Manuscripts should be set in 12 point type, double-spaced, Times New Roman font, in a Word, text, or rich text format. Margins should be standard width and length. Please do not send us a URL where we can find your manuscript. We request full, complete, as-polished-as-you-can-make-them, manuscripts from all genres. We can read your first 30 to 50 pages, and if we are intrigued, we will read more. We will strive to respond electronically within a month, though that will depend upon the volume of submissions we receive. As we are a new publisher, we expect to learn as we grow, so it may be necessary for us to amend these guidelines, to more effectively evaluate your work. Submissions may be sent to fullmoonoverbunganut@gmail.com . We look forward to reading your work!